The symbolism of the ginkgo leaf for longevity is about as ancient as the tree itself as well as its nature of duality. 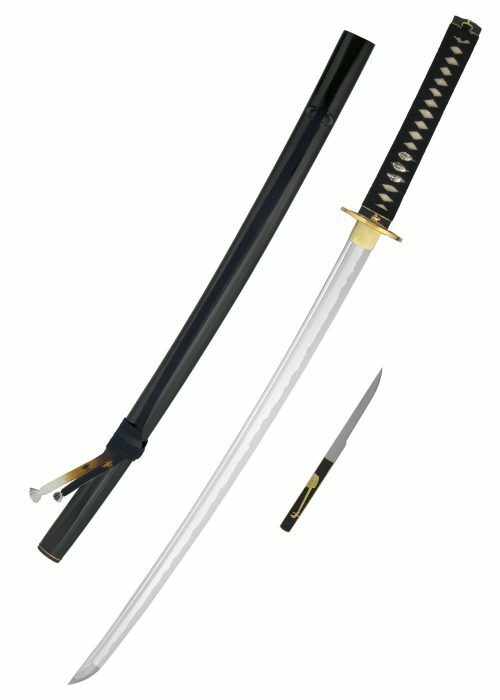 Our Autumn Leaf Katana embodies both of these contrasting metaphors of endurance and finality in its motif. The symbolism of the ginkgo leaf for longevity is about as ancient as the tree itself as well as its nature of duality. Our Autumn Leaf Katana embodies both of these contrasting metaphors of endurance and finality in its motif. The blackened, moon shaped stainless steel tsuba silhouettes falling gingko leaves as the moon coaxes songs from the grasshopper and bell cricket menuki (handle ornaments), both symbols of good fortune in Japanese culture. 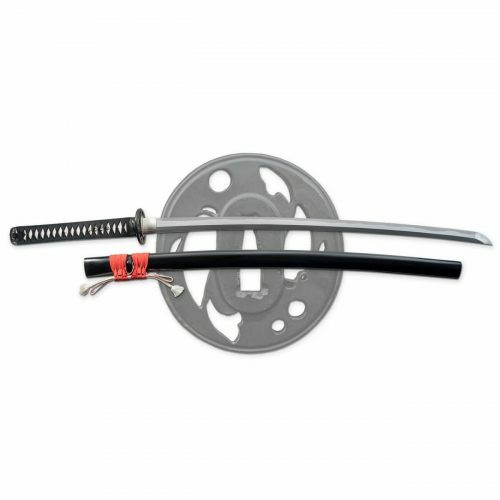 The 5160 carbon steel blade features a 1 ½” kissaki (point) and geometry conducive to rigorous cutting without chipping on soft and semi-hard targets. The tan tsuka-ito (handle wrap) offests the blackened fuchi and fuchi-kashira on the double mekugi (bamboo pin) pinned handle. The brown textured lacquered saya (scabbard) features a buffalo horn rimmed koiguchi (scabbard mouth) and kurikata (knob) and black sageo (cord). The time has come for legends to arise once more. If you listen hard enough, far off to the east you will hear the rumbling sound of fire and forges churning. If you look hard into the distance, you will see the glow of steel and billows of smoke. None will be able to compare to the grandeur of the Dragon King and it's come to take the throne. Hail to the king!The Dragon is back. 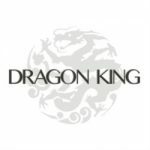 Hailing from Dalian, China, the master artisans of Dragon King are setting a new standard in the sword market. Collectible, functional and highly desirable their swords and canes blend art, symbolism and heritage without sacrificing their original intent.The famed artisans of Dalian have returned to show to the sword world what quality, craftsmanship and ingenuity can produce under the superlative leadership of a true avant-gardist. By the guidance of master designer, Frenchie Jin, the next generation of cutlery enthusiasts will taste the steel of the fabled golden age of swords.